These three dessert quesadillas will give you your dessert fix in a fun and unconventional way. Everybody loves quesadillas. The crispy tortilla outside and gooey cheese inside are a perfect combination, and adding meat, vegetables, and spices can make it jaw-droppingly good. But why limit the genius of quesadillas to just those ingredients? Dessert quesadillas are an imaginative way to add a unique and filling finish to any meal. The possibilities are endless: Nutella, caramel, marshmallow, honey, chocolate, peanut butter, cookie butter, bananas, and strawberries are only some of the many ways to trick out your tortilla-based treat. I tried my hand at only a few, but the possibilities are truly endless. Too cold (or lazy) to go outside and make s’mores over a fire? Just cram all the ingredients into a quesadilla. To achieve this, I first made a layer of chocolate chips as the base. After strategically placing a generous amount of marshmallows on top, I spread crushed graham crackers over the whole shebang. 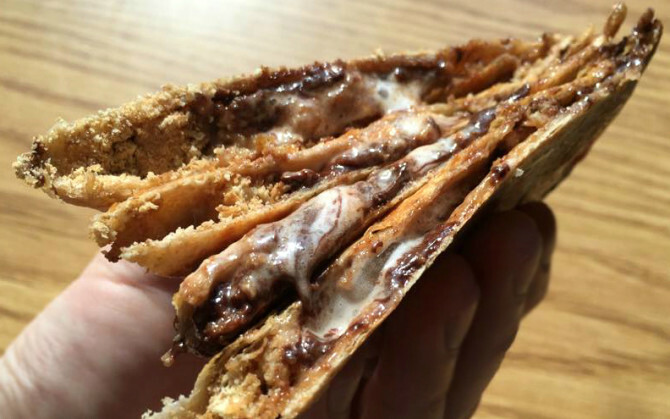 Although the final product doesn’t have the signature smokey flavor of regular s’mores (unless you really mess up), its crunchy and sweet interior is the next best thing. A childhood classic, most of us probably haven’t had a fluffernutter sandwich since our mom packed our lunch. But the combination of marshmallow and peanut butter is still just as heavenly. There’s no need for a jar of marshmallow fluff here, as marshmallows melt easier than your heart when you see a cute puppy. Another generous amount of marshmallows and crunchy peanut butter led to this gooey masterpiece, but you won’t have time to care about the mess when you’re scarfing it down. This quesadilla may not appear to be much, but don’t underestimate it. All three ingredients combine to create a wholesome, energy-boosting dessert. A healthier alternative to the s’mores and fluffernutter, simply combine crunchy peanut butter, banana slices, and honey, and then cook your tortilla ’til it’s crispy. 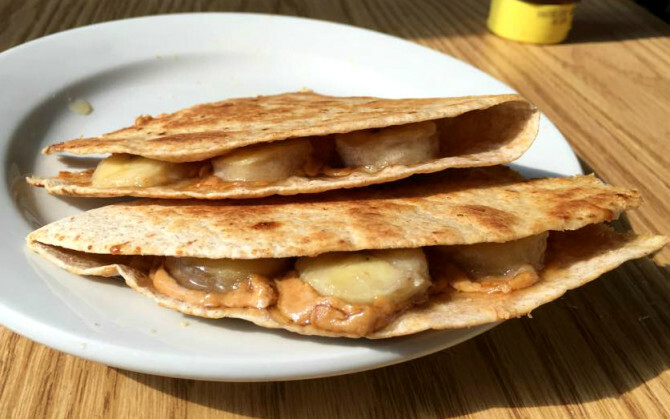 The PB+Honey+Banana quesadilla can even be eaten for breakfast, which is a perfect way to start your day. 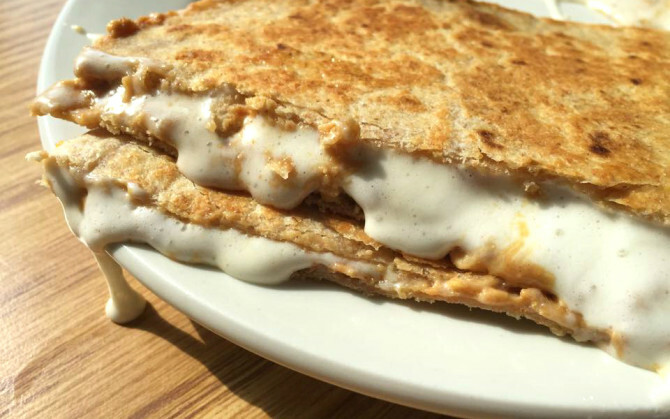 I’m a fan of taking an unconventional approach to conventional foods, and dessert quesadillas certainly fall under the unconventional category. Although it may be more work than just buying a tub of ice cream, these delectable desserts and their many variations are well worth the effort.